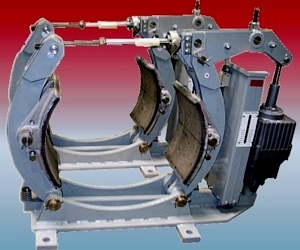 The SMLB thrustor brake assembly, manufactured by Johnson Industries, Canada, is built to AISE sizing standards, replacing older GE, Westinghouse and Mondel brakes. This brake has self adjusting shoes and stainless steel pivot pins as a standard features. 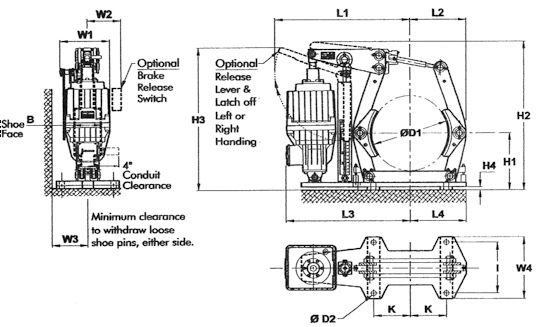 A manual hand release, or timing adjustments on either opening or closing of the thrustor are optional. Factory orders are ready to ship air or ground in as little as (1) week at no additional charge.